Venture out of the city with trips to Imatra Waterfall (in Imatra), Kummakivi Boulder (in Ruokolahti) and Rautjarven kirkko (in Simpele). The adventure continues: explore the historical opulence of Olavinlinna Castle, appreciate the history behind Savonlinna Herostatue - The Hero's Grave, take in the architecture and atmosphere at Savonlinna Cathedral, and examine the collection at Savonlinna Provincial Museum. 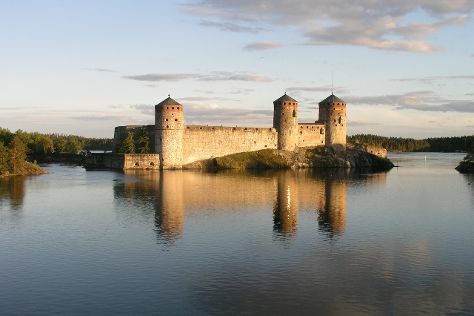 To see traveler tips, reviews, more things to do, and more tourist information, use the Savonlinna trip planner . In June in Savonlinna, expect temperatures between 21°C during the day and 10°C at night. Cap off your sightseeing on the 16th (Sun) early enough to travel back home.